Read an excerpt of Firethorn at Sarah Micklem‘s website. Firethorn — (2004-2008) Publisher: A sumptuous love story set in a world as real as history and as marvellous as legend. A foundling child, Luck — named for the colour of her god-favoured copper hair, is fortunate to be taken in by one of the Blood. She remembers little of her past, her parents a vague and teasing memory, but service in the Dame’s household is better than that of most mud folk. She is beaten rarely and is fed well, and, under the Dame’s watchful eye, Luck is even permitted to learn herb lore. But her comfortable world is turned upside when the old Dame dies, and her nephew arrives to claim his inheritance. Choosing to remain with her friends rather than claim her freedom and strike out alone, Luck’s life is calm until her new exotic looks attract the attentions of her new master! Reading the publisher's blurb quoted above, you might expect a very different book from this one. It's not that it's inaccurate, per se. It's just that all of the events in the blurb happen at the very beginning of the story. By page 15, Luck has fled the estate and is hiding out in the Kingswood, trying to survive on what she can forage. 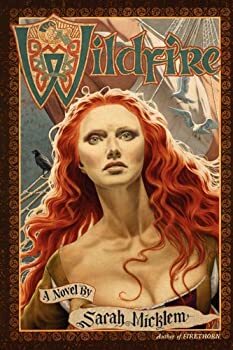 After what can best be described as a shamanic near-death experience, Luck believes she has been chosen by Ardor, the god of fire, for some unknown purpose, and changes her name to Firethorn. When we last saw Firethorn, she had resolved to follow Sire Galan to war rather than retreat to the country house he had provided her. As Wildfire opens, she does just that. But the gods aren't finished with Firethorn yet. Before she reaches the city of Lanx, where she will be reunited with Galan, Firethorn is struck by lightning. She survives, but not unscathed. Firethorn comes away from the incident with several ailments, most notably aphasia. She often says one word when she means another. 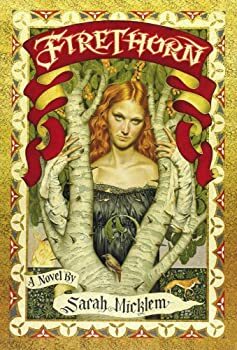 What I found most interesting about her speech disorder is that it sometimes reveals uncomfortable truths, such as when she accidentally refers to the bloodthirsty Queen Mother, whose name is Caelum, as "Callous." We have reviewed 6753 fantasy, science fiction and horror books, audiobooks, magazines, comics, and films.